Flex and Rigid-Flex Circuits give the ability to design for aerospace, medical and military applications, with dependable reliability. Flex and rigid-flex circuits give the ability to design your circuitry to fit the device. Using multiple advanced technologies in a future project some of the key benefits of using flex and rigid-flex circuit technology. Flexible circuit boards fit in your device where no other solutions can fit into it. Flexible circuit boards are very much light and thin weight which enables a substantial packaging size reduction. The advantage of flex circuit solutions into your design can offer a substantial weight reduction benefit over using wires and wire harness. 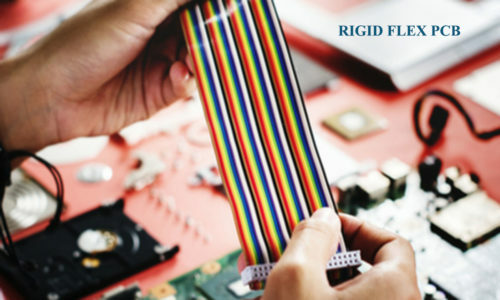 Flex and rigid-flex circuit’s board’s act as a replacement for wire and wire harness it has been used to replace wiring that reduces the errors. 2. Double sided flexible Circuits.